Dynamics has three businesses: an interactive intelligent powered payment cards business; a real-time software-loyalty-rewards processing business; and a mobile payment business. Dynamics powered cards allow multiple cards/accounts in one all-digital card; cardholders to pay withCredit/Debit/Installments/Prepaid/Loyalty; and fraud protection that provides the most secure card in-the-world. Launches of these market-defining card products are for example: the world's first multiple account card (Canada), the world's first password-protected card (Asia), the world’s first card-only Credit/Rewards/Installments-EMI(Asia), the world’s first all-digital connected (cellular) card (Middle East),and the world's first multiple co-brand card (USA). Dynamics software & value-added processing business provides real-time loyalty or purchase notification to millions of consumers and includes customers such as Tim Hortons and the UpperDeck Company. LG Electronics leveragesDynamics technology as it powers LG Pay in all LG phones. Its global HQ is in Pittsburgh, USA and has operations in Japan, China, India, and Dubai. 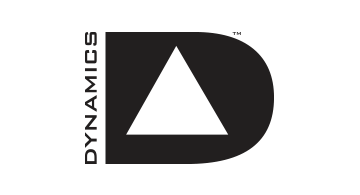 More info about the corporateLeadership, Products, IP & News can be found here: Dynamics.